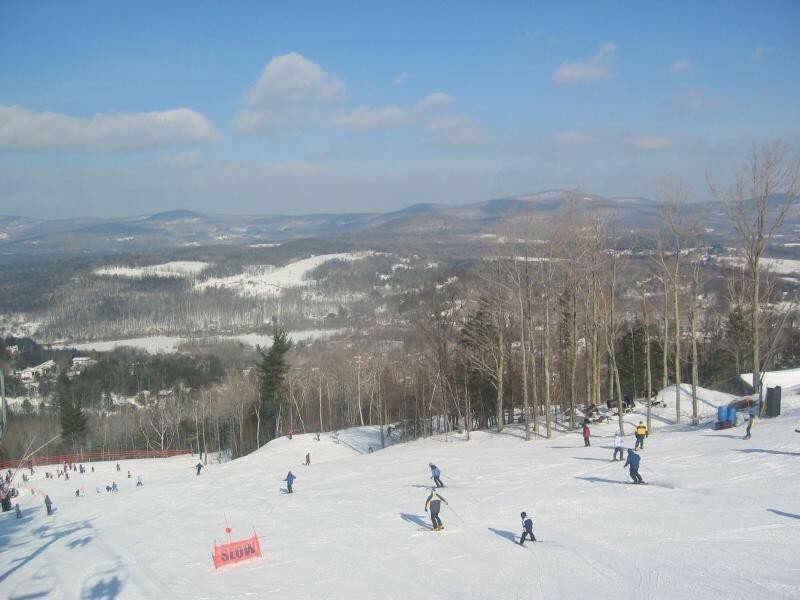 Thunder Ridge Ski Area, located in Patterson, NY, is conveniently located 60 minutes from New York City, 35 minutes from White Plains and a short 20 minute ride from Danbury, CT. Thunder Ridge offers 100 percent snowmaking coverage on its trails, ensuring that skiers and boarders, from advanced to beginners, enjoy their outdoor experience day or night. Guest can catch a ride on the Metro-North Ski Train and catch the free shuttle from the Patterson train station. Cafeteria, ski school, babysitting. Train service to within one mile of the ski area. Free shuttle from the Patterson train station. Very accessible by car from New York City and other metropolitan areas.